We use a 1940 Ford 9N on the farm. It has been fully restored to the factory appearance and specifications. It was built in Dearborn, Michigan, and is the second model year of the 9N, which was the first commercial tractor model to feature a 3-point hitch system, which has been the industry standard ever since. 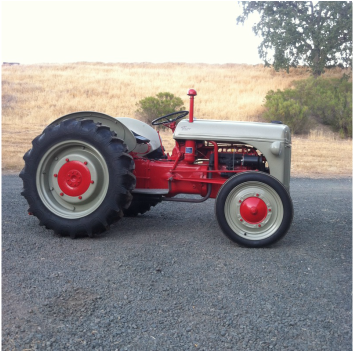 This model was originally called the Ford-Ferguson tracter, since Irishman, Harry Ferguson, was the inventor of the hydraulic 3-point system and pitched the idea to Henry Ford. These tractors were the result of the partnership. We also utilize a variety of tools which are attached to a fully customize-able toolbar. 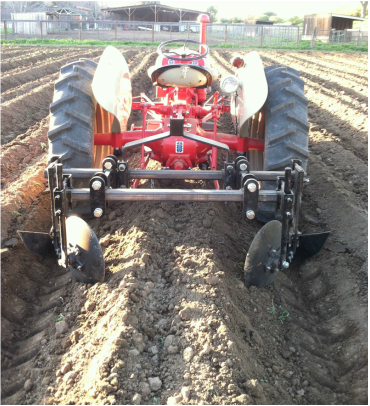 This allows us to accommodate a variety of crops, at a low cost, and throughout different points in their growing seasons. 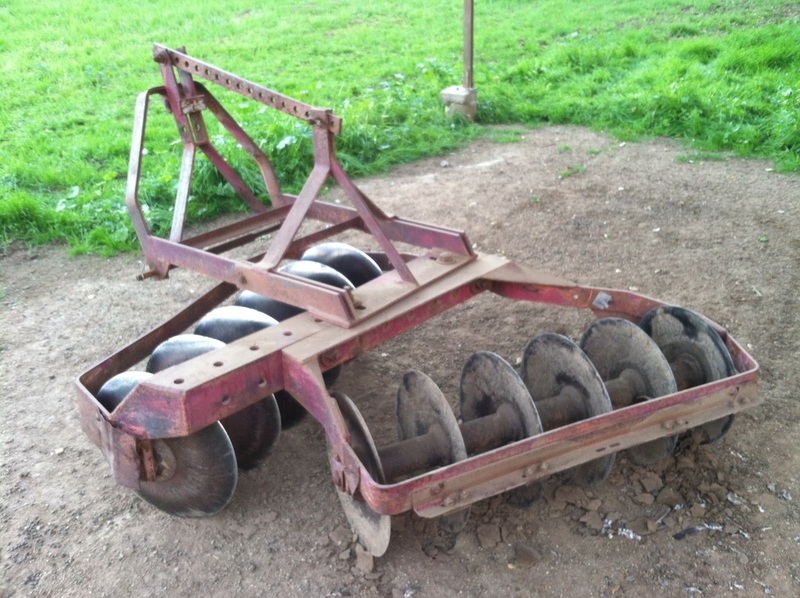 This method is also much more light-weight than using the fixed versions of each tool, minimizing the wear on our antique tractor.